Today on q: Olympic ice dancing champions Tessa Virtue and Scott Moir, rapper and children's author Raj Haldar a.k.a. Lushlife, former Chief Justice of the Supreme Court of Canada Beverley McLachlin, "the Banksy of monuments" artist Joe Reginella. Today on q, with guest host Ali Hassan: (1) Olympic ice dancing champions Tessa Virtue and Scott Moir break down their most iconic performances; (2) Rapper and children's author Raj Haldar (a.k.a. 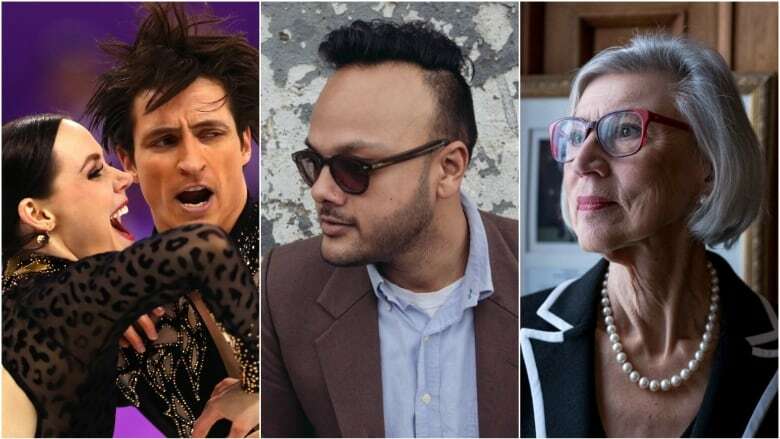 Lushlife) tells us how "the worst alphabet book ever" became a surprise hit this season; (3) Former Chief Justice Beverley McLachlin shares her q Block Party playlist for Vancouver; (4) New York artist Joe Reginella explains how he became known as "the Banksy of monuments."